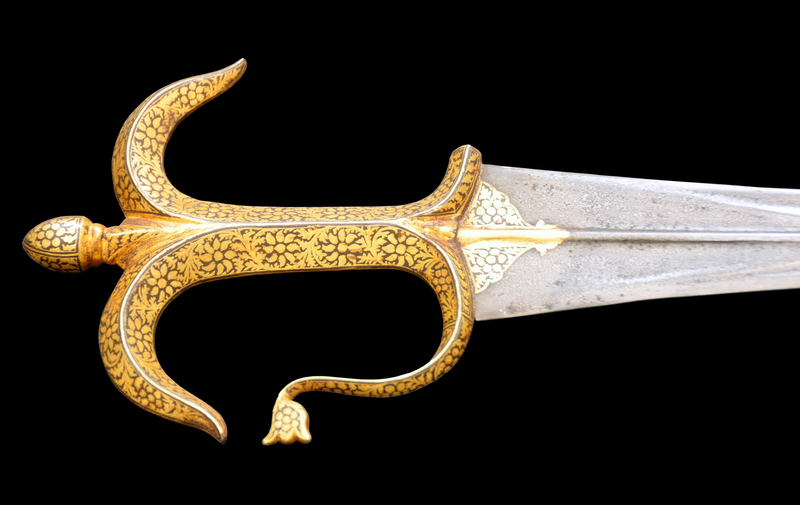 High quality dagger, in damascene wootz steel, with a very well preserved hilt characteristic of this type of weapon, made of steel decorated with Koftghari style floral designs. Double-edged blade with a central groove becoming V-shaped towards the tip. On the ricasso there is also Koftghari work en suite with the hilt. 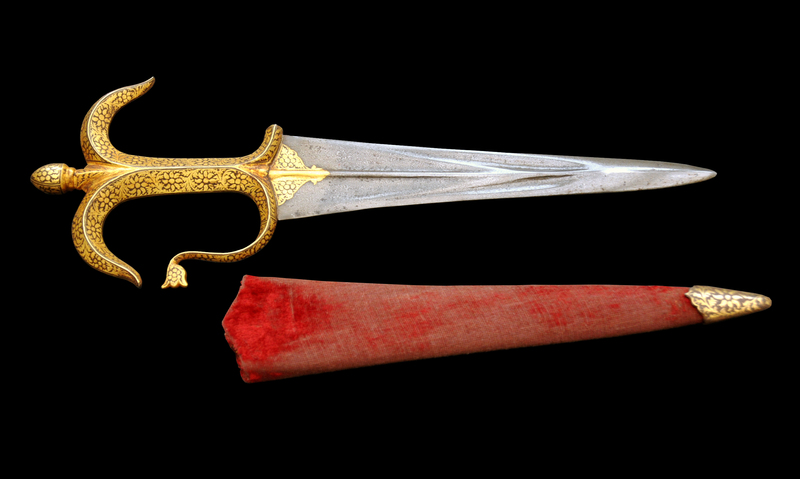 The wood scabbard is covered in red velvet, with signs of use and with a tip ending with a steel aplication with the same koftghari florar design. Lâmina duplo gume com nervura central e em V para aponta, no "Richasso" existe trabalho "Koftghari" "en suite" com o punho. A baínha em madeira revestida a veludo vermelho, com sinais de uso, termina na ponta com aplicação em aço com o mesmo desenho floral em "Koftghari".